If your animal is hyper or if you are one to travel with your animal, Pyntril is a great product to help keep your animal calm from the stresses of their daily routine or different environments. For added support we recommend DermaNERV in conjunction with Pyntril. General: give orally 3-4 times daily as needed. Add 20 drops to every 8 ounces of water. Filtered Water, Grain Alcohol USP 21% by volume 1,3. 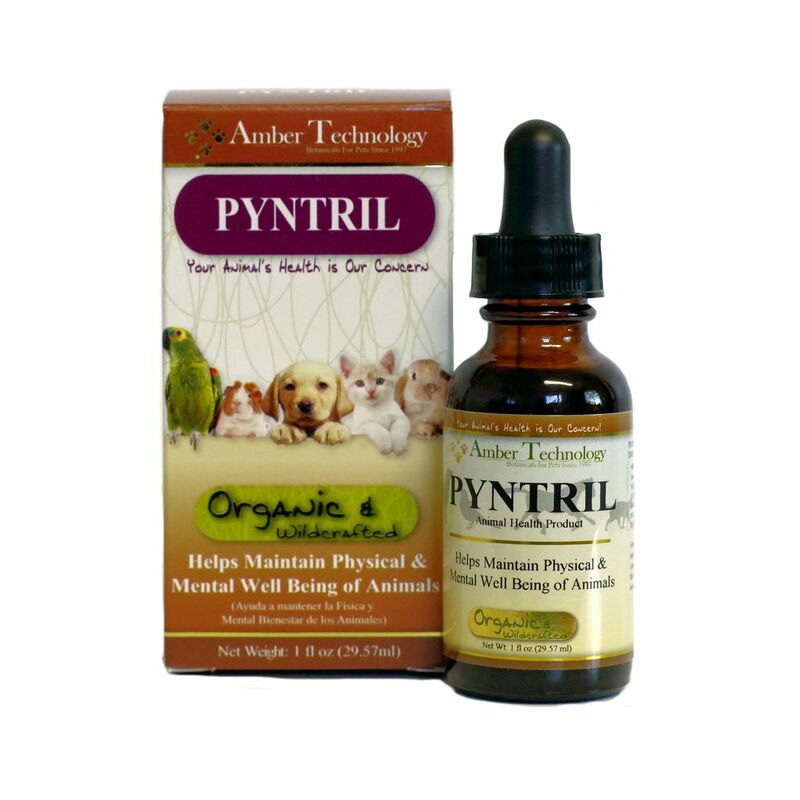 Pyntril can be used with all Amber Technology products.